This very moreish, fruit-driven white wine from Casa de Uco really caught our attention when we first tasted a bottle in the Autumn of 2018. 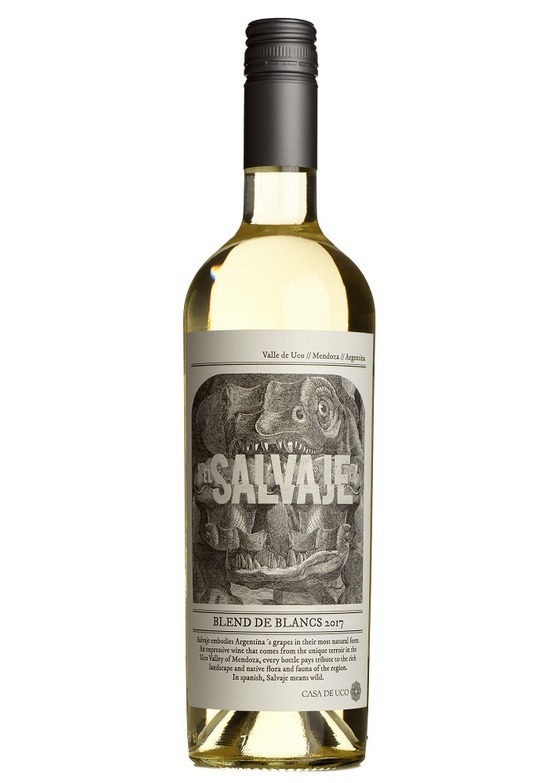 The blend is ripe, tropical fruit laden Sauvignon blanc in the main, with Torrontes, Argentina's signature white grape, and Chardonnay adding structure and a freshening citrus twist. The palate has a lovely texture, with many layers of flavour and a notable length to the finish, there's a lot to enjoy about this latest arrival. 66% Sauvignon Blanc, 17% Torrontes and 17% Chardonnay. Picturesquely surrounded by dramatic Andean scenery, Casa de Uco is an innovative 320-hectare estate with a stateof- the-art winery and an impressive luxury wine resort in the Uco Valley. Most of all, it is also a producer of some excellent malbec, which we recommend very highly. Winemaking here is overseen by the esteemed Alberto Antonini. Mendoza in the far west of Argentina is the country's most important wine region. Vineyard altitude averages 1000 metres, and the climate is considered close to ideal for red wine production, and now increasingly white. A semi-desert climate, run-off water from the Andes and contrasting day and night temperatures result in deeply coloured, scented and structured red wines made from Cabernet Sauvignon and tempranillo in addition to Malbec and Bonarda. Chardonnay, Torrontes and Sauvignon are the main white grapes cultivated, though quality wines from Viognier and Chenin Blanc are also appearing.